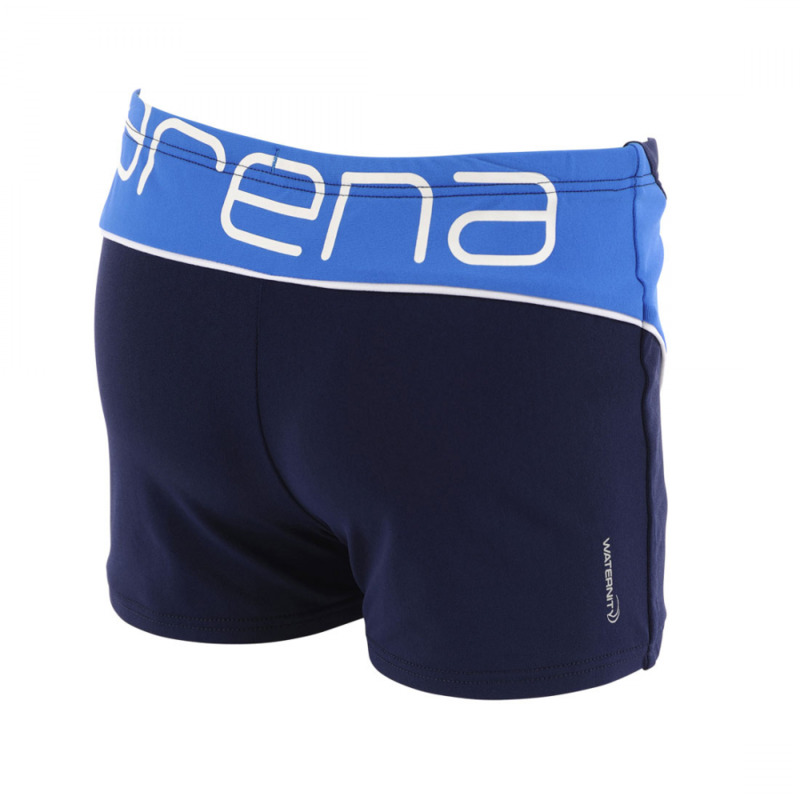 The Espiral Arena boys swim shorts are perfect for regular training or around the pool on holiday. 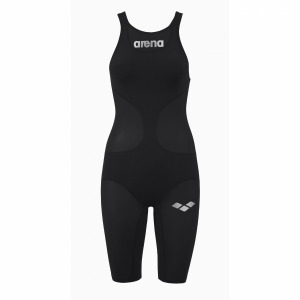 They have a stylish diagonal design on the outside of each thigh which is eye catching but not too obvious!! 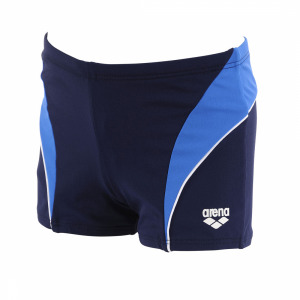 These junior swim shorts use Arena’s Max Life material which by balancing the robust characteristics of polyester with the natural stretch qualities of PBT, Max Life® provides maximum resistance against chlorine and sunlight degradation yet still feels soft to the touch. The durable traits of the polyester blend also contribute to Max Life’s®ability to retain shape and colour after continuous wear. 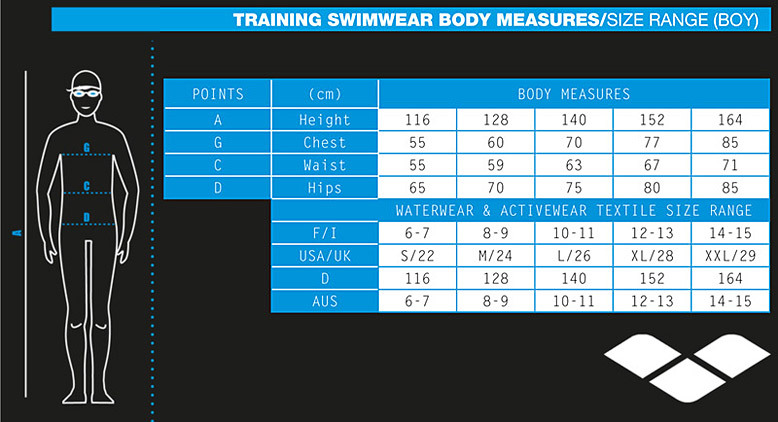 They have a 22cm side seam, front lining and inner drawcord at the waist.